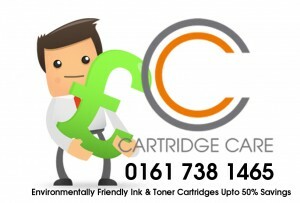 Cartridge Care Manchester Can Now Supply Compatible Canon CEXV21 Toner Cartridges Manchester. This entry was tagged 0452B002AA, 0453B002AA, 0454B002AA, 0455B002AA, C-EXV21, Canon C-EXV21 Toner Cartridges Manchester, Canon CEXV21 Toner Cartridges Manchester, Canon IRC-2380i toner cartridges Manchester, Canon IRC-2880 toner cartridges Manchester, Canon IRC-2880i toner cartridges Manchester, Canon IRC-3080i toner cartridges Manchester, Canon IRC-3380 toner cartridges Manchester, Canon IRC-3380e toner cartridges Manchester, Canon IRC-3380i toner cartridges Manchester, Canon IRC-3380Ne toner cartridges Manchester, Canon IRC-3580i toner cartridges Manchester, Canon IRC-3580Ne toner cartridges Manchester, Canon IRC-3880 toner cartridges Manchester, Canon IRC-3880i toner cartridges Manchester, CEXV21, CEXV21 Toner Manchester, Compatible Canon C-EXV21 Toner Cartridges Manchester, Compatible Canon CEXV21 Toner Cartridges Manchester. Bookmark the permalink.